As explained before: your free FineDiner account gives you free access to restaurant information for top-rated fine-dining restaurants (Michelin star awarded, top rated Gault Millau, plus a hand picked “FineDiner” selection). Enter your iTunes password to complete the purchase. 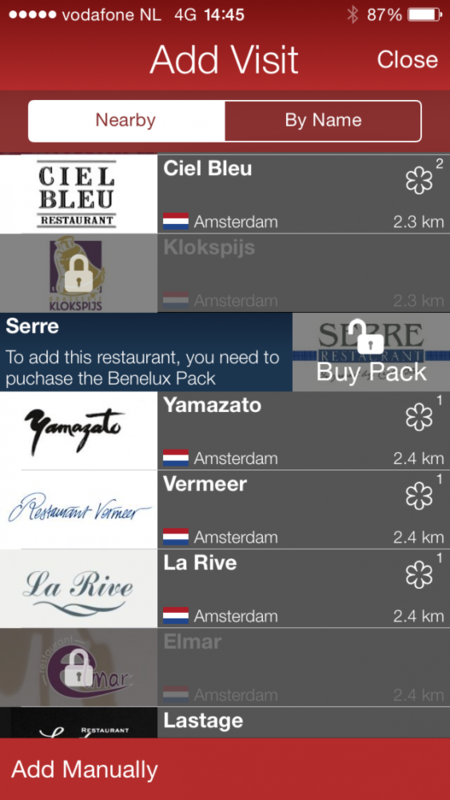 The Search screen will then refresh with the restaurants from the purchased pack now unlocked.